Excellence+ | Bringing the life-changing gift of education to the poorest of the poor! Bringing the life-changing gift of education to the poorest of the poor! We started supporting the elementary school of Kahn, in Cameroon, during the school year 2013-2014. That year, the school had 14 students and a low 31% success rate. With our intervention, in just 4 years, the school ended the 2017-2018 school year with 49 students and an astonishing 87% success rate! Inspired by founder, Dr. Zachee Pouga’s, powerful personal story, Excellence Plus aims to ensure that each child, from whatever corner of the world and regardless of social circumstances, is able to complete at the very least, an elementary school education. Dr. Zachee Pouga, a Doctor of Law and International Lawyer based and practicing in New York City created this 501(c)(3) non-profit organization with his wife Kathryn to help the children today that are in similar situations to his own childhood in Cameroon. Born in Cameroon, Dr. Pouga grew up in Kahn, a small, remote village. Living in extreme poverty, he wore his first pair of shoes as a fourth grader. With no electricity or running water, the highest level of schooling in Kahn was elementary and even then only some children were able to attend. Most stayed home with their parents who could not afford the required fees. As a child, Dr. Pouga’s parents, at times, could not pay the school’s fees requiring him to stay at home. Yet, through a providential set of circumstances, he went on to achieve the highest levels of academic success. In 2010, Dr. Pouga met his now wife Kathryn, a first-generation college graduate who shares his passion for education. 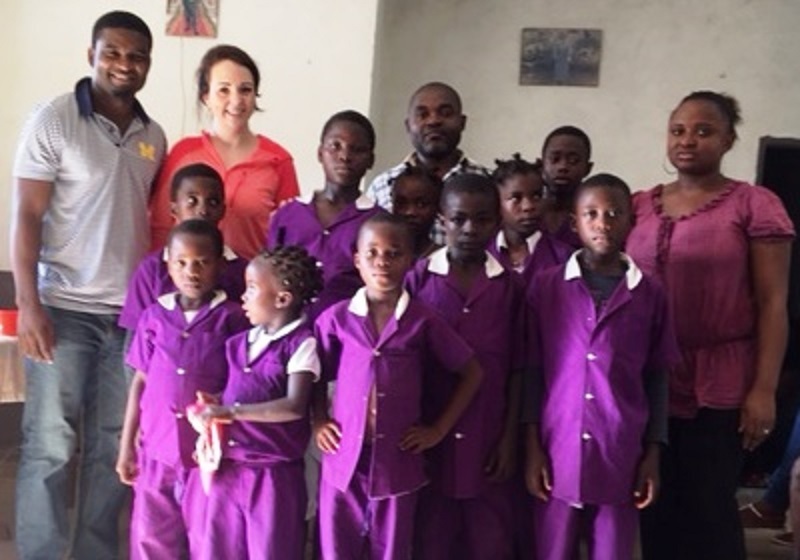 Together, Dr. and Mrs. Pouga began identifying children in Cameroon who live in extreme poverty to offer them scholarships to attend school. 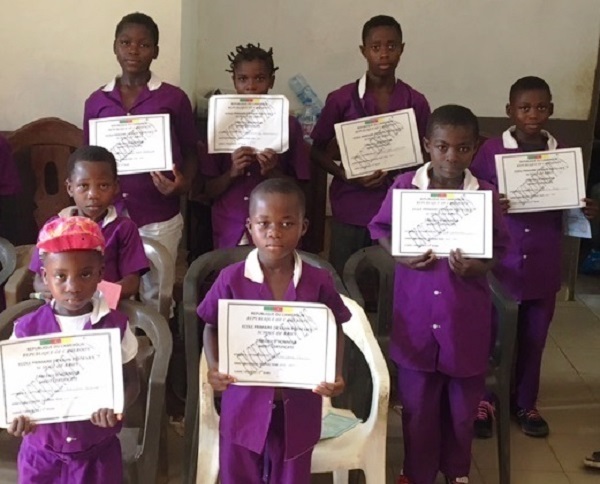 With about sixty (60) students sponsored in 2017, and recognizing the global need, Dr. and Mrs. Pouga work with a dedicated group at Excellence Plus Foundation to ensure that, long term, no child, anywhere in the world, is unable to complete an elementary school education due to the lack of resources. Our mission unfolds on two fronts. On the one hand, we search, and identify children born in extreme poverty and support them to pursue an education, something they would not be able to do otherwise. We truly believe education is the great equalizer, and as such, by giving a chance to kids who may not be able to go to school otherwise, we are able to tap into a tremendous potential and ultimately lift whole communities. Most of our students are orphans in very difficult environment. We provide material support and mentorship to our students. On the other hand, we contract with teachers and support their salaries and resources so they would venture into remote villages where schools only 'exist' on paper without assigned teachers on staff. Because in some areas, the only way to reach and offer education is to bring teachers to the children. Excellence Plus is driven to find as many children as possible, born in socially disadvantageous situations, and to give them a chance at transforming themselves and their communities. We believe each child has extraordinary potential, and with help, can seize opportunities for great achievement. Guided by the strong impact we have seen thus far and rooted in our belief in the kids’ limitless abilities to achieve great things, we continue to look for people to join us in our mission. Together we can empower communities worldwide by bringing the life changing gift of education to as many children as possible!